This paper is divided into two parts. The first part provides some background and a comparison of the types of episode analytics. 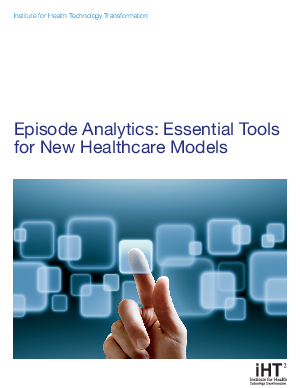 Part two explores the real-world experiences of payers and providers in using episode analytics for payment bundling and other purposes. Finally, we offer some recommendations on how to use episode analytics to reduce variations and manage contracts that involve financial risk.